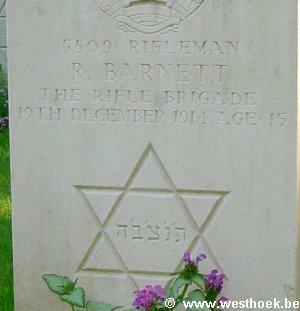 Rifleman ROBERT BARNETT 5509 1st Bn., Rifle Brigade who died on Saturday 19 December 1914. Age 15. Son of Phillip and Esther Barnett, of 95, Belgrade Rd., Stoke Newington, London. 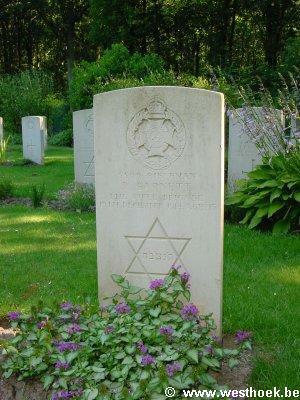 One of the youngest battle casualties of the war. RIFLE HOUSE CEMETERY Comines-Warneton, Hainaut, Belgium Grave : IV. E. 10.